These edible iPhone icon cupcakes featured on BuzzFeed will satisfy your tech addiction and your sweet tooth. Chocolate cupcakes are topped with a fondant icon meant to resemble the iPhone home screen. There is a calendar cupcake, email cupcake, weather cupcake, camera cupcake, and more. 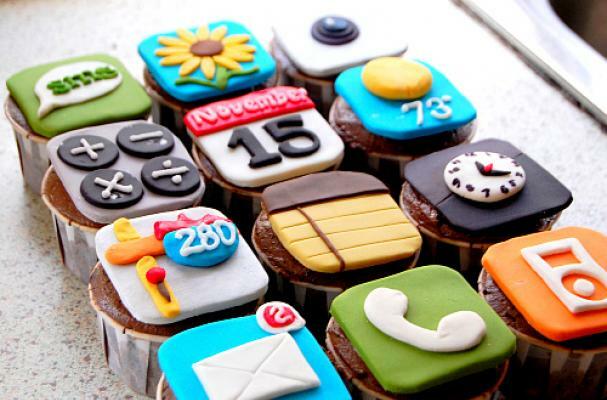 These edible iPhone icon cupcakes will put the app in your appetite.